Want to learn a little more about the fauna of Superior? Why not spend your Sunday mornings at the Boyce Thompson Arboretum, enjoying the early morning and finding out more about some residents of the park? Checking out the birds on a Bird Walk at the Arboretum. Bird Walk Sunday, July 15 at 6:30 a.m. Author and avian expert guide Homer Hansen recently proved the old adage that ‘good things come in 3s’ – leading his guided walk followers to see a family of 3 Blue Grosbeaks near the Picnic Area at Boyce Thompson Arboretum. Three separate and distinct Zone-tailed Hawks, 3-of-4 Cooper’s Hawk siblings still at their nest near the Smith Building – and three Purple Martins swooping above Ayer Lake and Silver King Wash (a fourth later joined the trio). Gold Canyon resident Mark Ochs, a popular guide at the Arboretum, leads the next bird walk Sunday, July 15, at 6:30 a.m. Informal BTA bird walks are a great way to get into birding, hone your skills and get some fresh air during the coolest hours of the morning. Beginners are encouraged and always welcome. No binoculars? No problem! Ask at the gift shop when you pay admission, loaners optics are available. 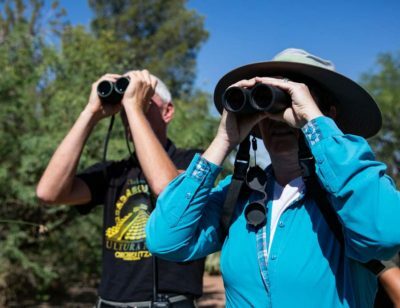 $12.50 adult admission includes the day’s bird walk – and other July weekend nature walks such as a Geology Walk Saturday, July 28, at 8 a.m., or a Butterfly Walk that same morning at 8:30 a.m. Read bird checklist reports and verify event dates/times at cals.arizona.edu/bta. 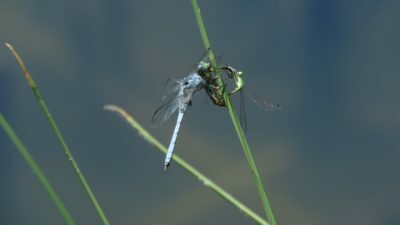 Dragonfly Walk Sunday, July 22, at 7:30 a.m. Observe the remarkable aerobatics of dragonflies and learn about their fascinating life-cycle on a Sunday morning stroll at Boyce Thompson Arboretum, guided by Maricopa Audubon Program Director Laurie Nessel. Her walk is included with $12.50 daily admission ($5 for ages 5-12); and of course its free to BTA annual members and Arizona State Parks pass-holders. What should you wear, and bring? Laurie suggests wear comfortable walking shoes; sunscreen, a hat and clothes to protect you from the sun. Carry water and bring close-focus binoculars for the best close-up views of dragonflies. 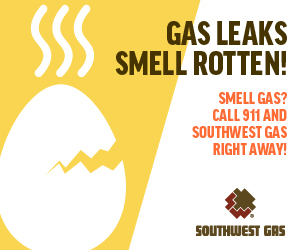 Meet at the visitor center breezeway at 7:30 a.m. Confirm event times and read more at cals.arizona.edu/bta.